Who expect some extra pampering on women’s day, raise your hands. I, for one, search for an excuse to extract flowers and chocolates from my man. So if you are reading this post, ‘A’ dear, Take the hint !! And if you are a boy who stumbled upon this post and wondering what the heck is a gradient nail art and how did I land up here, before closing the tab do make plans to pamper your girl tomorrow. Do it. So anyhoo, since Women’s day is tomorrow and I didn’t have any ‘women’s day inspired’ nail art, I thought of uploading a very feminine and pinkish and girlish nail art. I did this nail art long back but somehow never uploaded here. But as they say, better late than never. Things you will need for gradient: lighter nail polish, darker nail polish, a piece of sponge. Paint whole nail with light color. 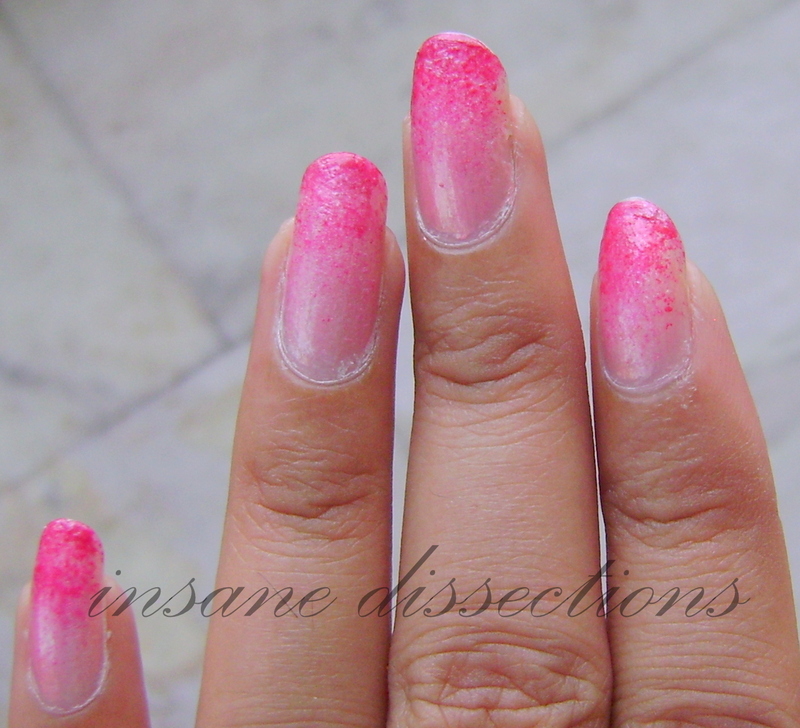 Dab the end of sponge with dark nail polish and paint the nail tips with sponge using light strokes. Keep dabbing even more lightly while moving down. You will see a gradient. Do NOT dip/soak the sponge in polish. 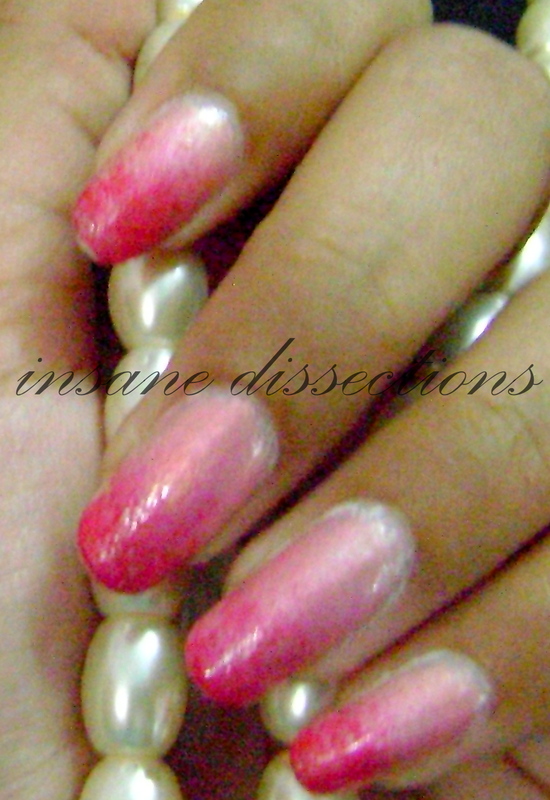 Just apply some on sponge using the nail polish brush. 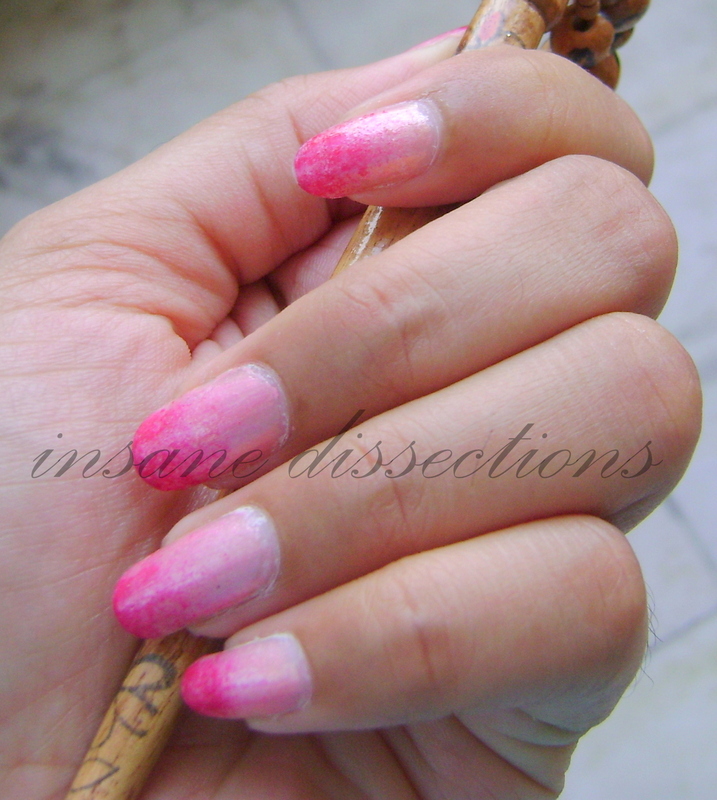 There are other techniques too for creating a gradient nail art like mixing the two colors. But this is what I did here. Much confusing? I’ll try to do a tutorial soon.